I never liked the way my syllabi looked, they didn't reflect my personality. 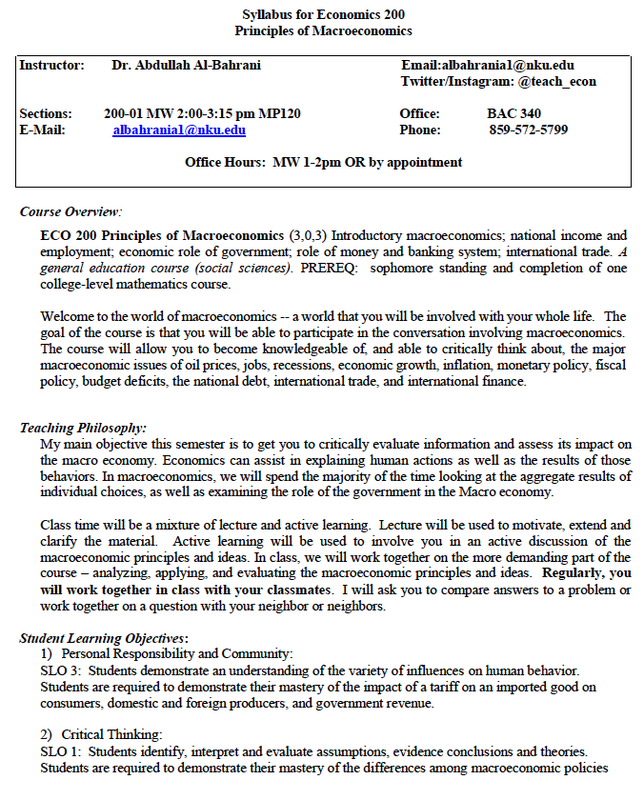 So I tried to revamp my Principles of Macroeconomics Fall 2018 syllabus. Check it out, provide any feedback. Below you will find a PDF version and a word version. Please feel free to make it your own. Please share your final product with me. Let's help each other make a better first impression.